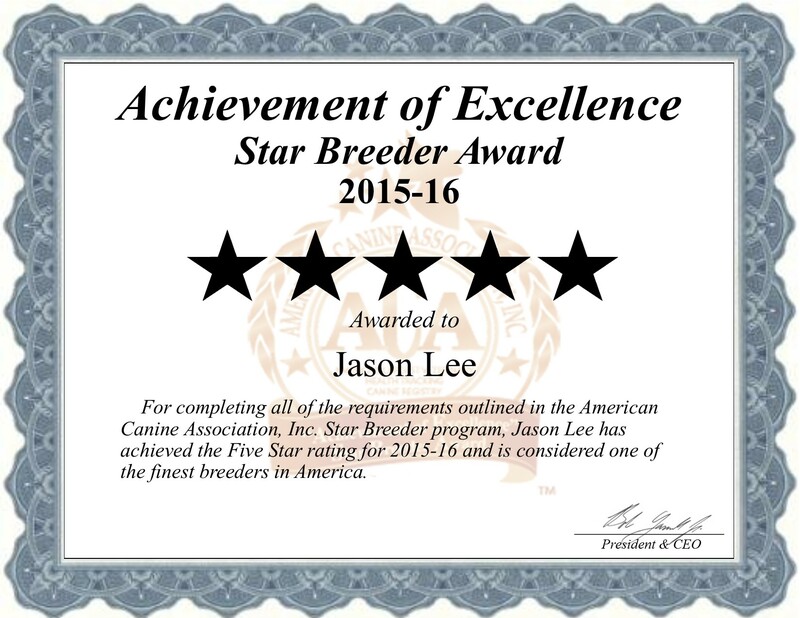 Jason Lee is professional dog show handler and breeder of dogs. We are located in Randall, MN a beautiful and historic town. Jason Lee carefully plans each selective breeding. All of our wonderful puppy's Mothers and Fathers have been screened and certified free of one or more genetic defects. Our veterinarians oversee all socialization and health programs of our dogs to insure only the finest and healthiest puppies are produced.